Looking for Commercial Construction Companies? G&M Efestos provides a full array of commercial construction services. We have the knowledge and expertise to make your next commercial project a success whether we are working from existing drawings and specifications or developing your project utilizing our design/build team. Clients call G&M Efestos when they are looking to work with one company that will take responsibility for their project from conception to completion. We manage every phase of the construction project, from handling budgets and managing schedules to selecting high quality vendors. Having complete control over the project allows us to reduce the time needed for job completion. Developers & Investors Wanted ! 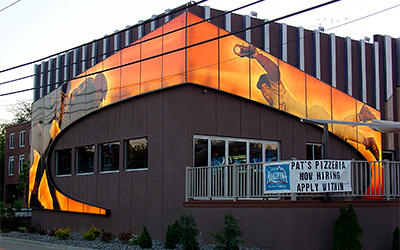 I first contracted with G&M Efestos to completely renovate the 45th Street Pub in Pennsauken, NJ in 2003. Since then, I've exclusively worked with G&M Efestos for renovations to Nick's Hometown Diner, 45th Street Pub Edgewater Park and Throwbacks Bar & Grill. I highly recommend G&M for their workmanship, guidance throughout the project and attention to details." We specialize in all aspects of building for the hospitality industry. 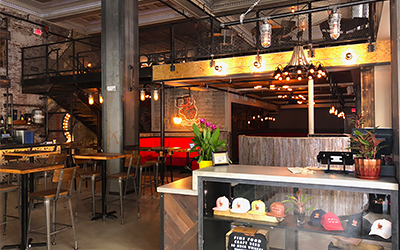 Our staff is a highly trained group with knowledge in building construction, public health, handicap accessibility, restaurant equipment, layout, seating, egress codes and the inner workings of commercial kitchens and public spaces. 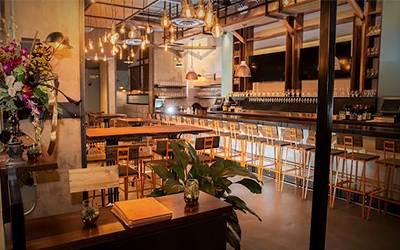 If you are building a restaurant in Eastern Pennsylvania, Southern New Jersey or Delaware, G&M Efestos will help guide you from concept to completion or anywhere in between. We complete projects on time and on budget. We pride ourselves on achieving our client's vision down to the finest detail. With some of Philadelphia's and the tri-state area's hottest night spots and eateries under our belts, we believe the environments we create speak for themselves. Let us bring your concept to life! This is one of Philadelphia's hottest nightclubs on the 1300 block of Chestnut Street. Bru has an indoor beer garden with a German flair. The entire interior decor was mostly built of reclaimed lumber. Cinder is a unique taphouse and pizza kitchen that was brought to life from a triumvirate inspiration of Belgian ale houses, artisan pizza, wine bars and a passion for American craft beer and farmhouse ciders. 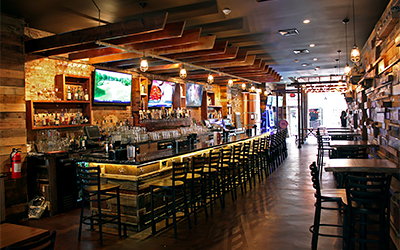 Tradesman's is a 7,500 square foot restaurant/bar in Center City Philadelphia. 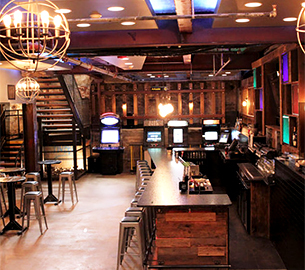 This 2 story fit out seats 200 people and offers 3 bars, 23ft ceilings as well as a completely separate bar concept in the basement. Every inch of this build is customized. 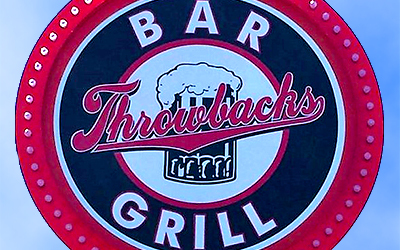 Throwbacks Bar & Grill is the area's hottest sports bar and restaurant. Throwback's bold color scheme and retro decor create an unforgettable atmosphere. The mission of Throwbacks is to give customers everything they're looking for today with the right touch of yesterday. Initially a diner cart in 1946 the restaurant was designed and totally reconstructed by G&M Efestos. 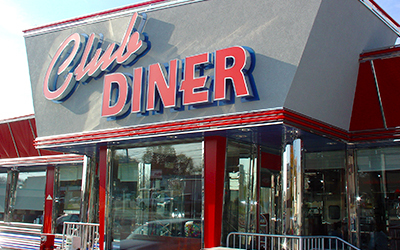 Now a modern diner with a nostalgic 50's flair, the restaurant remains a staple of South Jersey. This pizzeria, restaurant and sports bar is on the campus of the University of Delaware. A modern look with European design sets this building aside from all others. G&M Efestos has built half a dozen restaurants for the Pat's Pizzeria family. 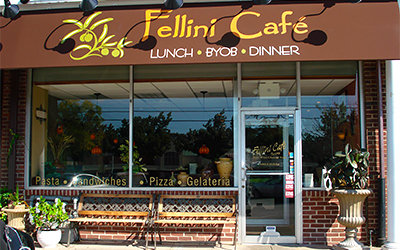 Fellini's Cafe is one of Delaware County's favorite cozy spots to eat. This BYOB was redesigned with a Tuscan look and theme to accompany the delicious Italian menu. 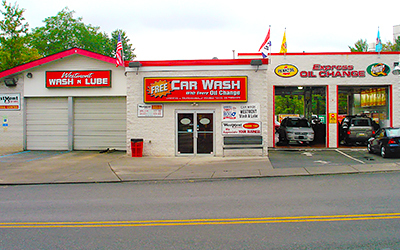 Westmont is one of many car washes completely renovated or built out of the ground by G&M. The state of the art equipment and the owners flair for high end car washes sets these aside from others. Other car washes built by G&M Efestos in the Philadelphia area are the Spring Garden Wash n Lube, The Ritz Car Wash and the Upper Darby Wash n Lube. 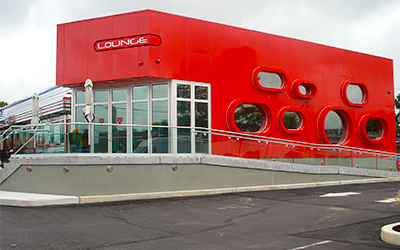 This is an ultra modern addition to an existing restaurant, designed by one of Philadelphia's premier firms. G&M Efestos brought this project to life. Its a must see in Turnersville New Jersey. Proudly serving Philadelphia, Cherry Hill, NJ, West Chester, PA, Upper Darby, Delaware County, Pennsylvania, New Jersey, Wilmington, DE and areas beyond.